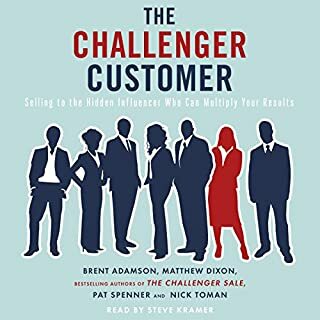 The Challenger Sale team are back, and this time they reveal something even more game changing: the highest-performing sales teams don't focus on friendly, attentive customers. They target challenger customers. Challenger customers are sceptical, less interested in meeting and indifferent. But they also have the persuasive skill and will to challenge their own organisations on your behalf and get the deal to the finish line. This book is about not just growth, but high-growth, explosive-growth, the kind of growth that weather satellites can see from space. The success of any business-to-business company is directly linked to how effectively they acquire new pipeline. To skyrocket growth, sales development is the answer. 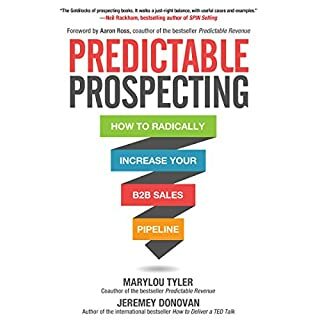 If your organization's success is driven by B2B sales, you need to be an expert prospector to successfully target, qualify, and close business opportunities. 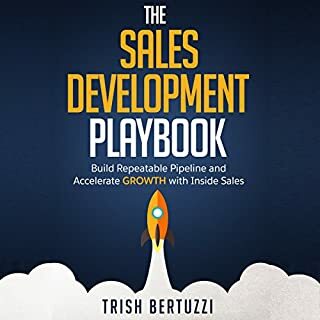 This game-changing guide provides the immediately implementable strategies you need to build a solid, sustainable pipeline - whether you're a sales or marketing executive, team leader, or sales representative. It's been over a decade since Verne Harnish's best-selling book Mastering the Rockefeller Habits was first released. Scaling Up: How a Few Companies Make It...and Why the Rest Don't is the first major revision of this business classic. 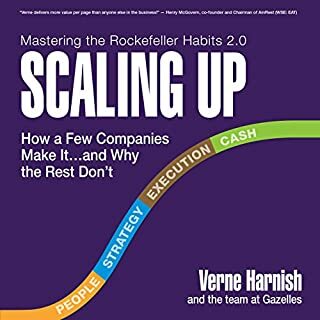 In Scaling Up, Harnish and his team share practical tools and techniques for building an industry-dominating business. The revolutionary sales approach scientifically proven to dramatically improve your sales and business success. Did you know that nearly half of salespeople fail to meet their quotas every year? Or that many of the most common sales behaviors drive down sales performance? In today's fiercely competitive marketplace, you can't afford to lose sales that should be yours. But with so much conflicting advice from self-proclaimed "gurus", how do you know which sales strategies actually work? 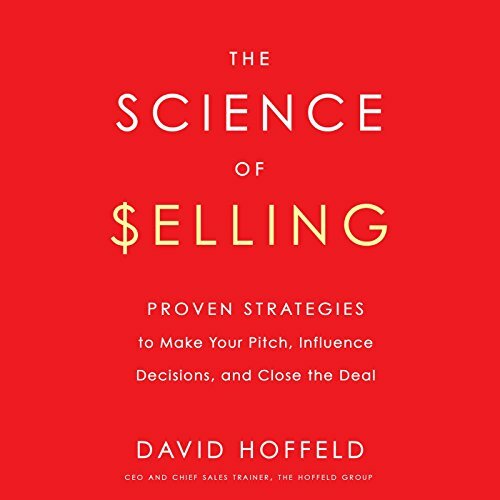 Packed with advice and anecdotes, The Science of Selling is an essential resource for anyone looking to succeed in today's cutthroat selling environment, advance their business goals, or boost their ability to influence others. Really liked this book. Well structured and presented ideas and techniques that can be easily implemented. It's a shame about Hoffeld's nasally voice. 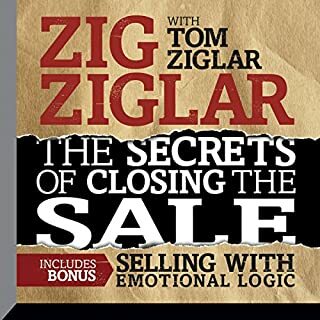 I really bealieve that this single book can help you to become successful on sales. No matter which field you are working in. 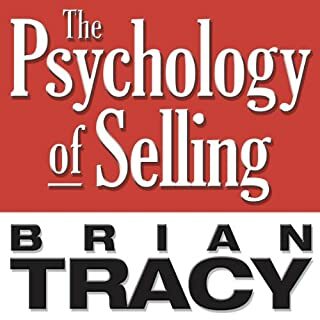 Would you listen to The Science of Selling again? Why? 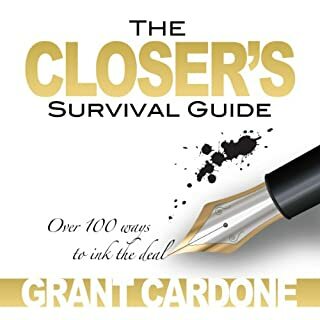 It is packed with ideas that are scientifically proven and can be used on real sales calls. I've already begun using the ideas and my results are improving. Everything about it is 5 star! What a pleasure it was to read/listen to this book. Sales professionals always want to know the "why" of how to appeal to the buyer. 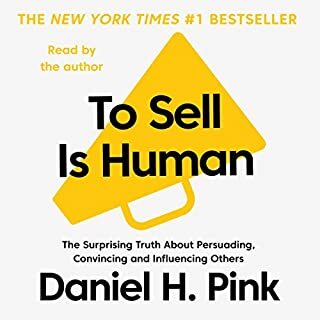 Whether this is all new strategies or a fantastic must read application of existing behavioral science realities with art of selling i know of no other text that is more comprehensive and fact based guide to being a better you. Great book, recommended. Would have been better if we had an outline of the contents so we can go back and review sections easily, in this book chapters are the only numbered. For example, if I want to review the 6 whys, I have to scan and or whole sections. I have been in commercial insurance sales for 25 years. Have read a dozen or more books on the subject and I can tell you this cuts through the head trash. It is easy to implement and very natural to apply! What was most disappointing about David Hoffeld’s story? Based on the title and reviews, I really wanted to like this book. 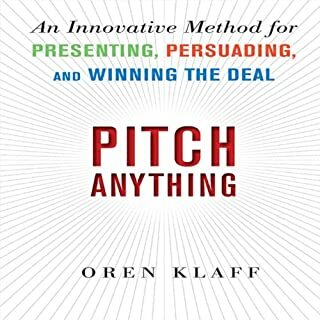 However, it took only one chapter to realize that the author was likely never a successful sales rep (the fact that he put the word "pitch" in his subtitle should have been my first clue). Furthermore, every time he would introduce a new concept, like three levels of questions, I would get excited, only to discover that he was rehashing/stealing other people’s intellectual property and promoting it as his own. I take sales and sales training very seriously, they are my life. I especially take sales training seriously, because the information imparted on salespeople will likely affect their livelihood. That being said, my first instinct was to tear into and expose this author on a personal level. Nonetheless, I will try to keep this review as academic as possible, regardless of how it may come across. 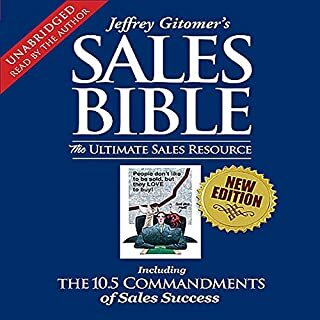 A little about me: I’ve been in sales, sales management, and sales training for nearly thirty-five years now. Prior to my sales career, I was a scientist. So, I understand both sales and the scientific method. Most of all, I understand how to read and properly interpret scientific studies. It would take an entire book to retort every misstatement and misunderstanding put forth by this author. As such, I would be happy to go into details in reply to any comments I receive. Keep in mind, however, that if you are a friend/fan of this author or book, then you are doing him/it no favors by asking me to go into details. So, how do I know the author was never successful as selling? 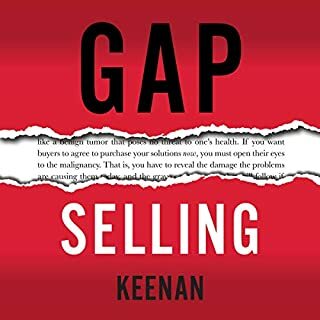 First, I can tell by his misunderstanding of sales; he doesn’t ‘get it.” After one chapter, I could easily tell he could not have been successful selling. Each subsequent chapter drove this home. Second, nearly everything he says is geared towards mass marketing and not 'foot on the ground sales'. Even a moderately good salesperson understands the difference between marketing and selling. While similar, they are worlds apart. 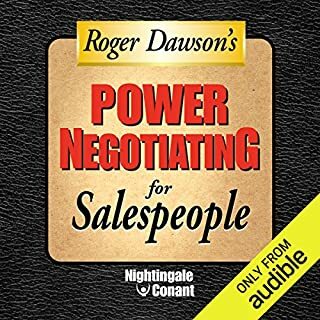 You may now be thinking that the author’s claim to be a VP of Sales disputes this. This could not be farther from the truth. 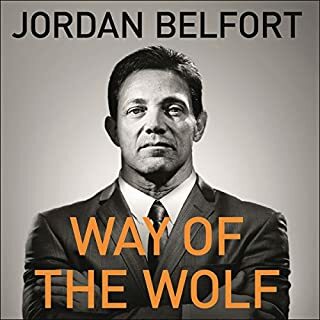 In my time selling I have seen many like him who could not succeed, or lived off of bluebirds out of sheer luck, and moved up the latter by getting some jerkwater company to make them VP before they were in a situation that actually required real talent. My perception is that this author read Daniel Kahneman’s book, Thinking Fast and Slow, and chose to use those concepts to write a book of his own. I believe this, because 98% of the science put forth by the author is directly out of Kahneman’s book, along with a few tidbits from the Invisible Gorilla, and some other stuff that he likely got on Google. He basically just copies sales techniques from other programs (most of which are also BS) and cherry picks the science to back them up. The techniques he promotes are not from the science, rather the science is chosen to fit the techniques. Oddly enough, he fails to mention the science written about by Kahneman (like regression to the mean) would dispute many of his self proclaimed successes. - The author states that category questions do not work. Then he contradicts himself by giving his level questions, which are basically identical to SPIN selling category questions. In essence, he stole SPIN questions, that he says don’t work, and renamed them as levels (Level 1 - SPIN Open Ended Situational questions, Level 2 - SPIN Situational and Implication questions, Level 3 - SPIN Need Payoff Questions). Even his ‘orange antidote’ was taken verbatim from a SPIN workshop. - He contradicts himself on the number of options to offer. First siting studies that show people will buy if offered more options. Later in the book he sites studies that show people will buy if offered fewer options. BTW, the latter is correct. Like Henry Ford said of the Model-T, “You can have any color you like as long as it is black"
- He is correct that trial closing is a vital component for successful selling. However, even here he misunderstands and describes trial closes that are not trial closes. He follows this section with a new section labeled: “How to know when the customer is ready to buy.” Duh, that’s what a real trial close would do (again, comment if you want me to go into detail on trial closes). 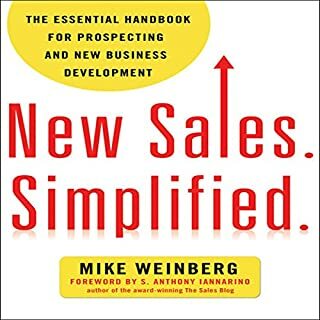 - The bottom line is that sales isn’t really that complicated. If you master just three concepts, then you can be successful. 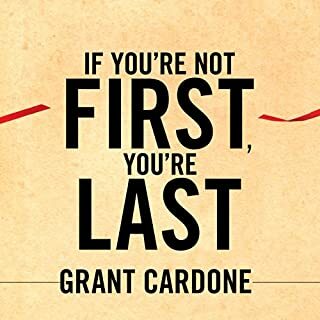 The first is time management and qualification (knowing when to walk away from opportunities rather than to waste your time on them). 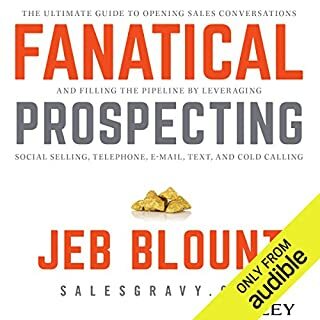 The second is hustle and quick follow-up (procrastination is the death of a sale). The third is asking for the sale. As Bob Janet says, “The answer is always no until you ask for the sale.” This is what makes trial closes so valuable. If you spend your time learning and mastering these three techniques, along with a basic understanding of asking consultative questions, an expertise in your products, and hone your technique to your specific field, then you are 99% there. I really do hate to be so hard on this book and the author. I’m sure the author is a nice guy and, like the rest of us, is trying to make a living.Nonetheless, I would feel remiss if I didn't expose this book for what it is. Change the narrator, his intonation is not the right fit for this book, otherwise a worth read. I confess I haven't finished the book yet because I can only listen to Mr. Hoffield's voice for short periods of time without wanting to stab myself in the ear. His voice is so nasely that for the first 5 minutes I thought it was a joke and he was going to change to his regular voice and say something like, &amp;quot;See how important a person's tone and clarity are in relation to their message? Imagine if I were to read this whole book in that nails-on-a-chalkboard voice! Ha ha!&amp;quot; But sadly, the ENTIRE book is in that voice and it's KILLING me. Dude, was it really worth the few extra bucks you saved by not hiring a professional narrator? And shame on the people in your inner circle for not being brave enough to tell you how absolutely horrible it sounds. You need to surround yourself with people who will be honest with you. 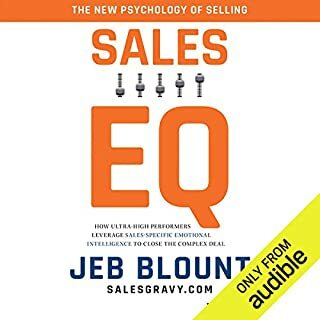 this book was informative, but the guys nasally voice is hard to get over and makes it tougher listen. This is very informative. Will need to listen to 2times to let soak in good. But a lot of good thoughtful information. 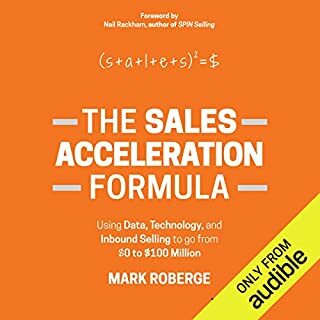 A new up to date way a dealing with sales in our ever changing world. The only negative is that the narrator is very difficult to listen to.